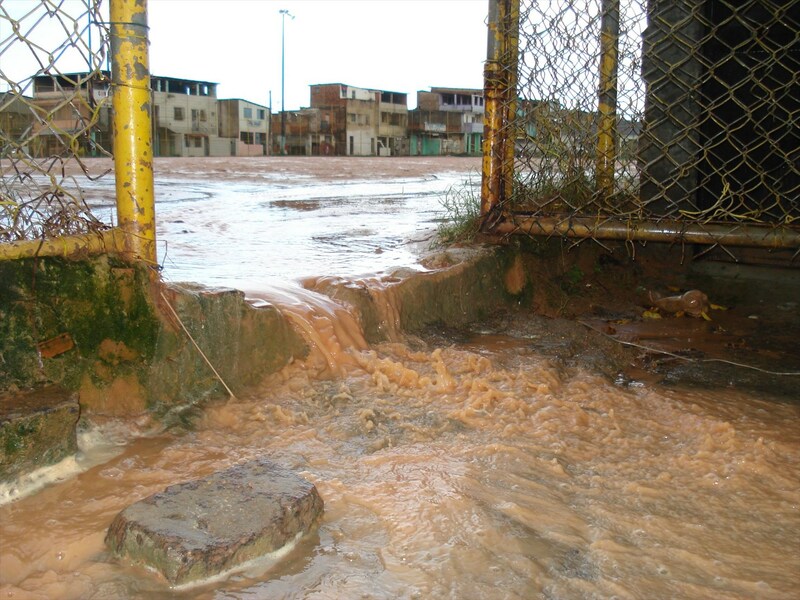 After an intense rainy season in April 1996, a disease took the port city of Salvador, Brazil, by surprise. People started showing up at emergency rooms by the dozens, complaining of fever, headaches, and muscle pain. Some came in with bleeding lungs. Others with eyes dyed yellow, a sign that their kidneys were beginning to fail. Roughly 50 people died in Salvador that year. But the death toll has continued. For the last 21 years, rains and floods bring new outbreaks. Brazil’s Ministry of Health estimates that only last year, almost three thousand cases were registered in the country and at least 234 Brazilians succumbed to the disease. The culprit: Leptospira, a corkscrew-shaped bacterium that targets the kidneys and lungs after it comes in contact with the skin or membranes of its victims. Although scientists are not sure how the microbe attacks, they know that it is transmitted by rats, and more specifically, by water contaminated with rat urine. For decades, authorities in Salvador have waged war against the rodents, which have taken over entire boroughs of the city. But eradication campaigns have not yet been able to put an end to the problem. Now, a large group of researchers has teamed up with Salvador’s health officials. The scientists are studying the genes of rats in Pau da Lima, one of the city’s most affected slums, or favelas, to figure out how the disease is spreading through the rodent’s population. By collecting DNA from rats captured in different parts of ramshackle Pau da Lima, which spans four valleys, researchers can determine how the rats are related and, ultimately, how many populations they are dealing with. Their work can also help exterminators figure out how to proceed in situations where rats recolonize neighborhoods previously cleared of the pests. When rats breed, their babies can be identified by tracing back the genetic similarities they have with their parents. Think of it as a barcode, the black-and-white stripes supermarkets use to label their products. Rats from one region share a same genetic barcode. But when they are separated by long distances for a long time, their DNA can start changing, creating a new pattern. The valleys of Pau da Lima, however, are separated by less than 100 meters (328 feet), making it difficult to distinguish between different groups of rodents. Caccone and the rest of the team were surprised to find that more than one group of rats live within Pau da Lima. The team was also able to identify some migrants that occasionally adventure outside their territory because they presented mixed genetic signatures. But the researchers had yet to figure out how the rats were moving through the slum. Scientists typically use radio tags to track individual animals, but this is really expensive, says conservation biologist Jonathan Richardson from Providence College. Genes can provide essentially the same information. “If you see big genetic differences across space, that indicates that there’s something impeding those animals from moving to another area,” he says. In 2016, Richardson led another study to look at how the rat populations were dispersed in Pau da Lima. After taking DNA samples from the tails of 706 rats and mapping the genetic barcodes across the favela, the researchers confirmed that two distinct groups are clustered in different valleys on either side of the slum. When they trekked to the border, they found a high-traffic road separating both neighborhoods. “And that, apparently, is enough to keep the rats from interacting and moving into other valleys,” says Richardson. All together, the findings can help exterminators plan where to set traps and how hard they should hit an area. 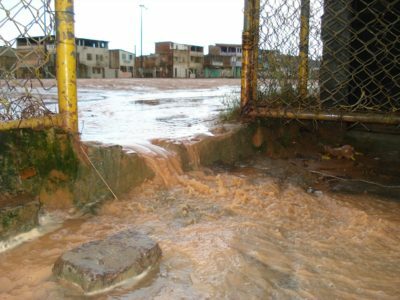 In Pau da Lima, for example, it means that they can target valleys that are disconnected from the rest of the slum and be sure that they will not be reinvaded soon. “If [rats] find their way back — and they will, because nothing is forever — what genetics can help us with is understanding where they came from,” says Caccone. Each population of rats can be assigned a specific barcode. “When you see that the majority of rats that reinvaded come from [point A],” Caccone adds, “that means there must be a connection between both places.” By knowing their origin, pest control groups can see what routes they followed and design new strategies to control them. In what other places of the world will this story be replicated. Governments should be more attentive to these situations.